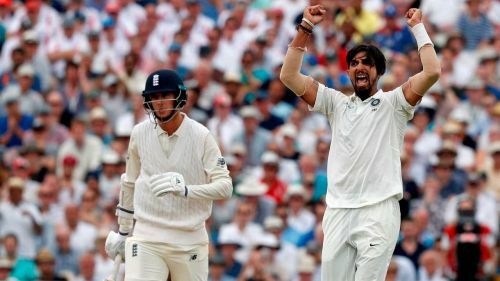 India's long tour of England ended on a losing note after the team's defeat in the last and the final Test of the five-match Test series. Despite some magnificent individual performances from some of the Indian players, team India couldn't avoid the series defeat due to lack of consistency and some debatable tactics of the team management. While some players rose to the occasion and performed brilliantly, some players didn't fare well. Now that the series is done and dusted, it is very important to analyse the performance of each player individually. In the following report card, each player is awarded marks on a scale of 10 based on their performances in the Test series. This report card will present a fair idea whether a player lived up to the expectations or has failed to deliver. 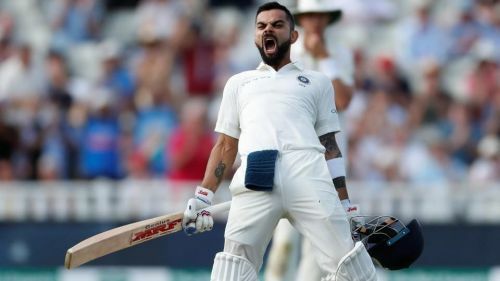 Virat Kohli silenced all his critics who questioned his ability to play in seaming conditions. Kohli ended up as the highest run-getter of the series. However, some of the decisions taken by Kohli as captain came under scrutiny. Bumrah came back in the side in the third Test and created impact immediately by picking up 5 wickets in England's second innings. Bumrah bowled brilliantly throughout the series and ended up picking 14 wickets in just three matches. Ishant Sharma led the Indian attack brilliantly. He bowled a lot fuller than he usually does and thus got more wickets. The tall fast-bowler was India's highest wicket-taker of the series with 18 wickets. Mohammed Shami bowled his heart out in this series. He troubled the English batsmen with his swing and used the conditions to good effect. Shami took 16 wickets on the series and looked unplayable at times.